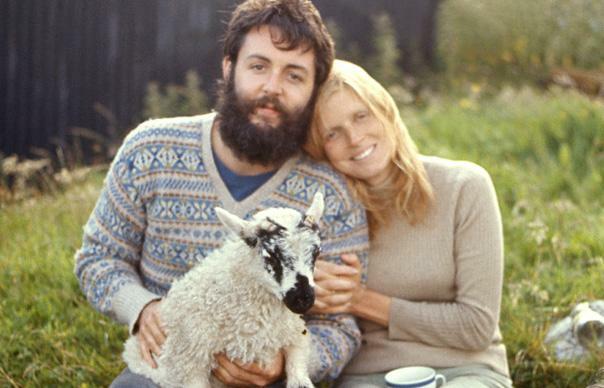 Ram, released in the spring of 1971, is the highpoint of Paul’s Farmer McCartney phase. It’s not as home-spun and lo-fi as his debut, McCartney, and its mood is strange kind of low-key anger, giving it more kick than its predecessor. Too Many People sees the singer taking aim at those “preaching practices” (Lennon assumed McCartney was talking about him). Dear Boy, which we’ll get to shortly, takes someone to task for not appreciating what they had (Lennon, again, saw himself as the subject). The early seventies saw McCartney in self-imposed exile on his farm in Scotland. Some biographers have suggested that Paul had a nervous breakdown during this time, while others have seen it more as an alcohol-fuelled episode of depression. The cover shows McCartney holding a ram by its horns; perhaps the subtext of this was less about his contentment with his lot up on his farm and more about what McCartney himself was wrestling with. What I love about this album is how relaxed McCartney sounds, simply pleasing himself, while tackling weighty subjects and moods. None of the slightly forced jollity and cheap hookiness of Ob-La-Di, Ob-La-Da or Maxwell’s Silver Hammer is here present, but the author’s lightness of touch (a trademark of his from And I Love Her onwards) is fully intact. The songs on Ram are as strong as anything he wrote in the latter days of the Beatles if you’re willing to meet them on their own terms and accept that they are designed to be minor pieces, not grand Hey Jude-style statements. And as always with McCartney, there are melodies here that lesser songwriters would kill to have written. Yet Ram, famously, was not particularly well received by critics on its release (sample review from John Landau: “incredibly inconsequential… the nadir in the decomposition of sixties rock thus far”; sample reviews by Robert Christgau: “If you’re going to be eccentric, for goodness sake don’t be pretentious about it” and “Ram is a bad record”). This was blatant nonsense, and when I listen to the album I find it hard to believe that anyone with any sort of ear for music could fail so completely to get any of it. It seems like they must have been expecting McCartney to look outwards more in his early solo career – to address the world and its ills in the way Harrison and Lennon had. McCartney’s music must have seemed insular, whimsical and self-satisfied in comparison. But it’s not valid criticism to dismiss a work because it doesn’t conform to your preconceptions of what a record should be. As Ian MacDonald pointed out in his essay on the Beach Boys, Retire the Fences, Pet Sounds is an abject flop considered as a heavy metal album. Ram seems to me as determinedly, modestly small-scale (and yes, as whimsical) as Paul Simon’s first solo record, which Christgau loved. So why the problem here? Dear Boy – with its gorgeous harmonies and surprising chord change from Fmaj7 to Bmin7 in the verse – is my favourite track from the album, but there’s an awful lot to like here: the wonderfully daft Heart of the Country (“I want a horse, I want a sheep, I want to get me a good night’s sleep”); the proto-Waits Monkberry Moon Delight; the Beach Boys-esque Back Seat of My Car (though, in fact, the Beach Boys songs that this song most resembles all post-date Ram); the gnomic opening trio of Too Many People, 3 Legs and Ram On. The songs don’t feel collaborative so much as cooperative: little schoolhouse plays that required every hand on deck to get off the ground. Paul had the most talent, so naturally he was up front, but he wanted everyone behind him, banging pots, hollering, whistling– whatever it is you did, make sure you’re back there doing it with gusto. We live in twee-er times than the early 1970s, so perhaps the massive rise in critical and fan esteem for Ram is simply a consequence of that, but open-eared listeners (which is to say, the public, who voted in pound sterling, and sent it to the top of the album chart) understood all along. This entry was posted in Music and tagged 3 Legs, And I Love Her, Beach Boys, criticism, critics, Farmer McCartney, George Harrison, Heart of the Country, Hey Jude, Ian MacDonald, Jayson Greene, John Lennon, Jon Landau, Kraftwerk, Linda McCartney, Maxwell’s Silver Hammer, Monkberry Moon Delight, Mull of Kintye, Mull of Kintyre, Ob-La-Da, Ob-La-Di, Paul McCartney, Paul Simon, Pet Sounds, Pitchfork, Ram, Ram On, Retire the Fences, reviews, Robert Christgau, Tom Waits, Too Many People, twee on July 24, 2014 by rossjpalmer.